A few months ago I got myself a new Google profile because my last name had changed due to our wedding. With the new profile, I perceived Google in a completely different way and interestingly discovered Google Maps for me. For orientation and route planning I used the app of course for a long time, but now I was mainly interested in the business entries there. I started to create lists, just like my wife does with shops on Swarm, which we want to visit sometime. But to work these lists off doesn’t give me the kick, but to have an overview when looking at a map section. I have also saved historical buildings, such as fortifications, and thus recognize the ground plans of fortress belts around cities – my secret pleasure. Google Maps has already replaced Foursquare’s Swarm for me. After a while, I also started uploading photos and reviews of stores I visited on Google Maps. What surprised me a lot was the reach that the images get. After only a few hours, some photos have already achieved three-digit hits. Several of my pictures have been viewed far more than 20,000. With hardly an article on my blog, I could obtain approximately five-digit range. Since then I have mainly posted the photos of the coffee shops I visit and watch the number of calls. These are getting higher faster for some time now. Meanwhile, also businesses were answering me to my reviews. While on Facebook and Instagram you can hardly achieve reach or interactions organically, Google Maps has slowly developed into a social network. More than a billion people use Google Maps, which seems “modest” compared to the 2 billion active Facebook users, but no algorithm restricts what you see to Google Maps. Local advertisements can also be placed in Google Maps, but what people are looking for is still displayed to them. Visibility is therefore not only possible through payment, as with Facebook. Google Maps creates visibility like nothing else. Google has always been the best search engine for coworking spaces. Now, this also applies more and more to Google Maps. If you are interested in coworking in a particular city, search for the term and the city’s name. In addition to a good search engine optimization of your own website, the entry on Google Maps is crucial if coworking spaces want to be found. Actually, Google Maps has no serious competition. These statistics show that Google Maps was by far the most popular mapping app in the USA in April 2018 – 154.4 million users used the Google Maps app. I did not find such figures for Europe but discovered that the number of people in Germany who regularly use mapping apps for route planning increased between 2013 and 2016 – to 13.67 million by 2016. 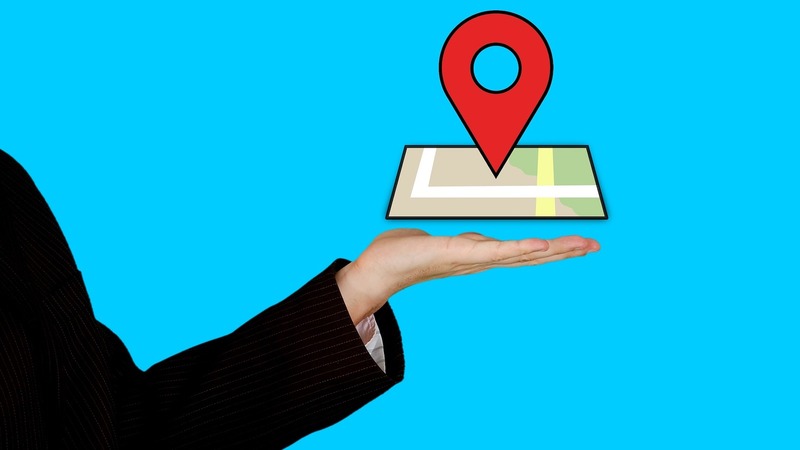 Google Maps’ map content is also displayed in search engine results in desktop view, so businesses can use a strong Google Maps display on both maps and searches. In December 2018, Google accounted for around 89.6 percent of search queries via desktop PCs worldwide. This integration into search is missing from competitors such as Apple Maps or here Maps. New functions make Google Maps more social. In addition to integration into Google search, the company is also working on further functions for Google Maps. Customers will soon be able to use the messaging feature to order products, ask questions or contact customer service. Complaints from customers will be handled directly and privately. Since the interaction is not public, you are protected from trolling. With a new “Follow” option, customers can allow stores to keep them up to date with social media-like contributions. This way, offers, deals, events, and other information can be communicated. Customers can create lists of locations and share them with friends. Also indoor maps of locations can already be displayed today, and 360-degree tours of sites are possible, too. It is still unclear whether contributions from companies will be sent as push notifications or e-mails. Nevertheless, Coworking Spaces should increasingly take this posting opportunity into account in their content strategy. In general, coworking spaces should keep their business information up to date and take advantage of the new opportunities.